Do you longing for fresh mountain air, breathtaking views and that wonderful tired feeling at the end of the day? Yes! Then these are signs that you’re in the mood for a trek! India has some great trekking routes such as Har Ki Dun, Chandrashila, Sikkim Rhododendron (and many more too!). This blog is all about how you prepare for a trek. Depending on your age and current fitness levels, you preparation needs to start between 1 to 4 months before the trek. Unlike other trips, you can’t start trekking without any preparation. A well planned, dedicated routine is recommended so that you reach top fitness level when you venture out on the trekking expedition. Get Trek Ready – Be Fit. Regular Walking & Exercise: Regular walking or jogging, at least 30 mins to 45 mins can make you fit for easy to moderate treks. A proper workout regime should be chalked out to strengthen the leg muscles and to build your stamina. Aim to easily complete a 45 minute brisk walk without any breaks. Remember to always stretch before and after. Comfortable Hiking shoes: Good quality hiking shoes are a must for a wonderful trekking experience. Since trekking involves lots of walking on uneven paths, using regular sneakers will be punishing. It is advisable to go to a store and try out the shoes before purchase. Also, pick up hiking socks. Some people prefer to take a shoe that is a ½ size bigger, as feet expand during trekking. You will find these shoes in leading stores selling sports items. Stay hydrated: Dehydration during treks can be very problematic. Keep your body hydrated with lots of water and other fluids. At least 2 to 3 litres of water in a day is required to keep the body hydrated and fit. Look for a lightweight water bottle to take along the trek. Proper Sleep: Ensure that you have proper sleep during your trek. A good night sleep is very necessary to rest your muscles and to re-energise yourself for the next day. 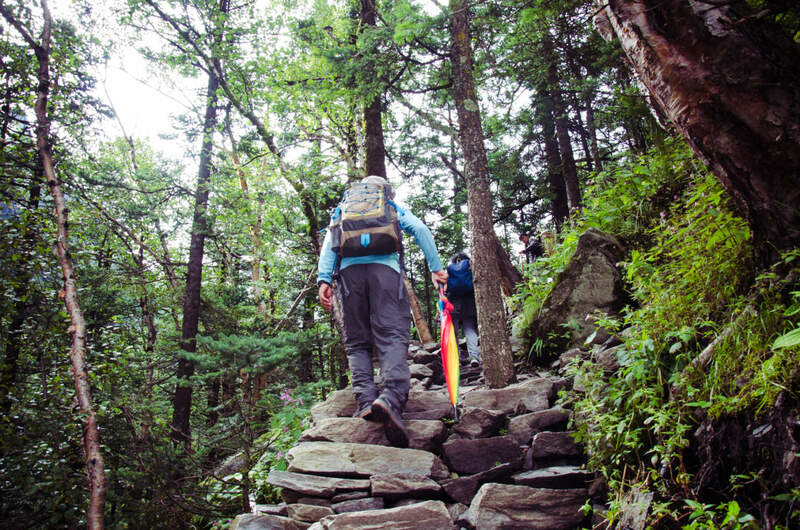 Walk with a Backpack: As you start preparing yourself for the trek, walking with some amount of weight will help you to build up the body strength. Later even during the trek, you will discover that you are energetic and will not get easily exhausted. Proper Diet: A healthy food pattern with lots of fruits, dry fruits and vegetables is the best diet to follow during your preparation for the trek. Avoid caffeine and excess carbs to make the body metabolism just perfect for the trek. Have small but frequent meals. Carry some trail mix, avoid going hungry for long intervals. Trek Knowledge: Proper knowledge about the trek is very necessary before setting out on an expedition. Know the type of terrain you would encounter, weather conditions and altitude,so that you can pack accordingly. A good waterproof jacket is always a great idea and will come in handy even when you’re not trekking. A spare pair of shoes may be prudent to pack. 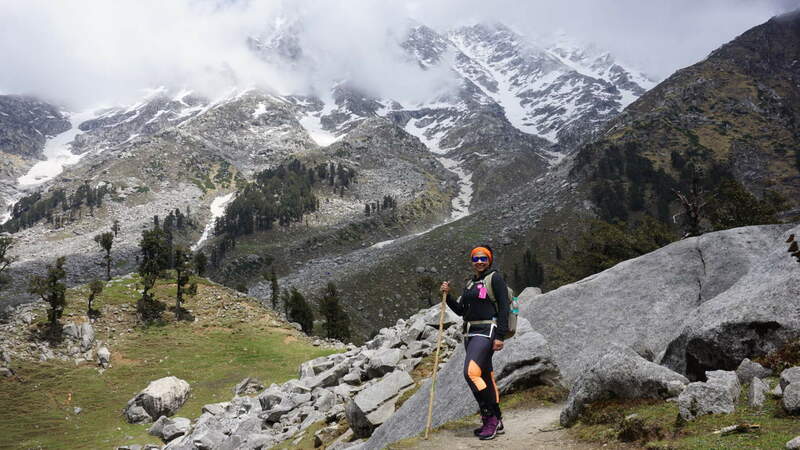 Trekking builds your strength and willpower. We love trekking for the positive transformation it brings about. Also the rejuvenation it provides from the hustle of modern life. In case you’re in the mood to trek, have a look at our itineraries below. Our treks fall into the moderate category. You would be covering around 10-14 Kms per day. So start training!